In 2008 the SCAA began participating in the Saskatchewan program by awarding a prize to the project in each region that best utilizes primary sources. The SCAA also produced the SHF Participant Toolkit to help students and teachers with Archival definitions. to inspire Canadians to celebrate their place in history. 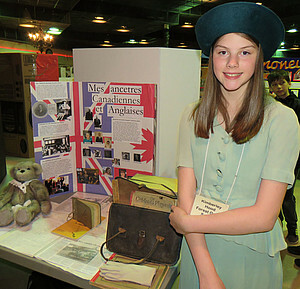 The Saskatchewan Council for Archives and Archivists (SCAA) is looking for members to volunteer to help judge students from grades 4 - 8 who are participating in the Regional Heritage Fairs in Moose Jaw, Regina, Saskatoon and Swift Current and the Provincial Fair in 2019. Both SCAA and our friends at the Provincial Archives of Saskatchewan (PAS) are always excited to support the Saskatchewan Heritage Fairs and recognize the effort of the youth of the province has put into their projects by offering a plaque for the project in each region that makes the best use of archival or primary materials. At the Provincial Fair, a project is similarly recognized for the Archives Award, but in addition to a plaque the winner is presented with a $500 cheque from SCAA and PAS. 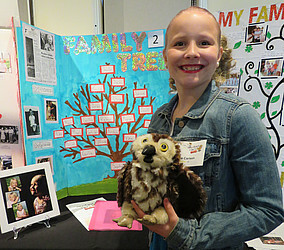 In 2018 the Provincial Heritage Fair was held May 24 at Government House in Regina. 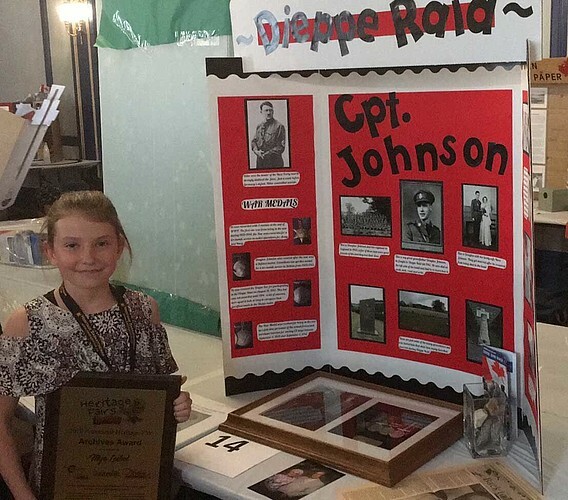 Congratulations to Mya Leibel, grade 6 from Swift Current, on winning the Provincial Archives Award for her project on "The Dieppe Raid"
The 2018 Moose Jaw Regional Fair was held on Thursday, April 19. 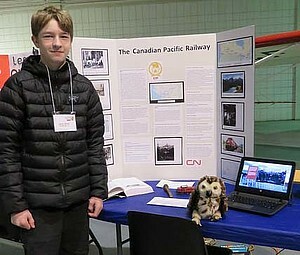 Congratulations to Gavin A., in Grade 8 on winning the Archives Award for his project on "The Canadian Pacific Railway"
The 2018 Regina Regional Heritage Fair was held on Friday, May 4. 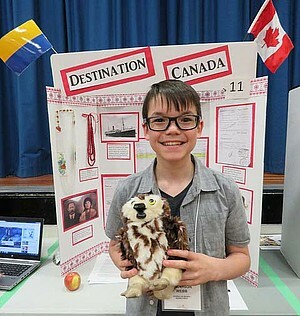 Congratulations to Tennyson Webb, grade 6 on winning the Archives Award for his project on "Destination Canada"
The 2017 Saskatoon Regional Fair was held on Thursday, May 4 and Friday, May 5. Congratulations to Kimberly Hood grade 8 on winning the Archives Award for her project "Mes ancetres canadinnes et anglaises"
The 2018 Swift Current Regional Fair was held on Thursday, April 26. Congratulations to Sophie Carlson, on winning the Archives Award for her project on "My Family Tree"